You are at: Home / Agora / After Q3 results, what next for Greek banks? After Q3 results, what next for Greek banks? The announcement of Greek banks’ third quarter (Q3) results did not result in any major surprises, while at the same time confirming expectations of a domestic net interest income (NII) rebound, cost containment and deceleration in the increase of non-performing loans (NPLs). As expected, banks’ management refrained from providing any clues on the hot issue of the outcome of Blackrock’s diagnostic and potential additional capital needs. They also sidestepped the issue of the potential lifting of the foreclosures ban. Following a successful recapitalisation last June, Greek banks again attracted interest from foreign investors. Their stock performance over the past three months has been impressive: National and Piraeus shares soared by as much as 60 percent, while Alpha gains reached 32 percent over the same period. Alpha’s was the only bank stock that recorded a positive performance (12 – 18 percent) over the preceding 6 and 12 months. The returns on the investment made by those who participated in the rights issues last June, which also took into account the warrants that were granted, is even more pronounced: Alpha cumulative returns reached an exceptional 359 percent with National and Piraeus at a very generous 44 percent. For most investors, particularly foreign ones, Greek banks are the best avenue through which to benefit from the expected recovery of the domestic economy as of next year. Our analysis examines the key drivers of latest results and pending issues due to be resolved in the next couple of months. The most important top-line item is NII (the interest they earn on loans minus the interest they bear on deposits) showing a high single-digit growth on the quarter, fully attributed to lower time deposit rates in Greece coupled with less reliance on Eurosystem funding and change in the wholesale funding mix towards the cheaper ECB funding. The quarterly NII improvement was more pronounced for Alpha and Piraeus due to a sharper downward movement of deposit rates in the banks acquired over the past 12 months, whose deposit rates were 1 percentage point above the market average. In contrast, National Bank’s group NII was dragged down by Finansbank due to monetary policy tightening and regulatory headwinds. 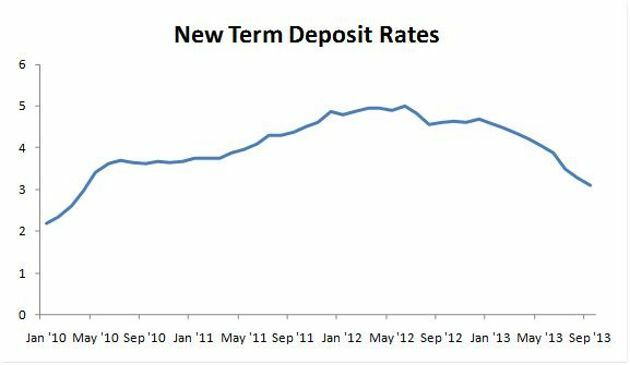 Greek term deposit rates fell by 0.80 percentage points in the quarter and 1.60 since the beginning of the year to 3.10 percent at the end of September for the new production and are expected to settle below 3 percent along. Along with the repricing of the old book (currently at 0.50 percentage points above the new production levels), this will continue to support a rebound in the NII in the next quarters. Further relief will also be provided by the recent ECB rate cut, which is expected to further lower their funding cost by a total 180 million. Cost containment was the second positive element of pre-provision profitability as a result of the new collective labor agreement in the banking sector (imposing a 6.5 percent cut in wages as of January 1, 2013 and another 3.5 percent as of the beginning of next year), implementation of voluntary retirement schemes (Eurobank and Piraeus) and cost synergies from recent acquisitions – for Alpha and Piraeus – stemming from the shut-down of overlapping branches, relocation of headquarters etc expected to bear fruits in the next two years. M&A synergies have been announced and committed at 180 million for Alpha and 340 million for Piraeus fully phased by the end of 2015 with the respective integration costs at 100-140 million and 420 million respectively. 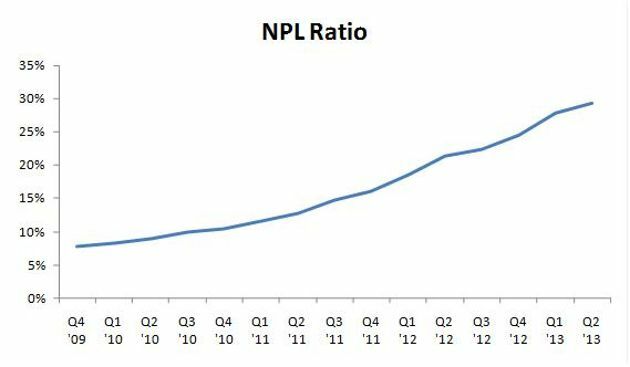 As expected, NPL ratio continued heading north mainly due to deleveraging (i.e. lower denominator), while NPL formation (the rate on NPLs increase) decelerated for the second consecutive quarter. Note that new NPLs exclude those written-off. The weighted-average Greek NPL ratio of the top four banks stood at 32.1 percent at the end of September, implying a 1.2-percentage point increase in Q3 compared to a rise of 1.8 in Q2. All banks agree with the official sector estimate for a mild GDP rebound (0.6 percent) in 2014. Under this scenario, NPL formation is expected to be close to zero by the end of 2014, with the NPL ratio gradually declining as of the beginning of 2015, implying a 2-3 quarters lag from the anticipated economic recovery. Note that the NPL coverage ratio (the portion of NPLs covered by cash provisions) ranged from a low of 49 percent for Eurobank and Piraeus to a high of 55 percent for National. At the end of Q3, the EBA Core Tier I ratio of Greek banks stood at 11.4 percent, with Alpha and Piraeus at the high-end of 13.5 percent (implying a capital buffer of 2.4-2.65 billion above the 9 percent threshold), National at 9.4 percent (moderate capital buffer of 200 million) and Eurobank at the low-end at 8.1 percent (capital shortfall of 350 million). National recently completed the sale of a 66 percent in Pangaea REIC to the Netherlands-based Invel. This resulted in a capital enhancement of 0.4 percentage points. National has also pre-announced three additional capital actions (without providing any details) that could further increase its capital base by up to 1 percentage point. However, the most important transaction would be a disposal of a minority stake (up to 40 percent most likely in two tranches) in its Turkish unit Finansbank that could boost its capital ratios by up to 3 percentage points, depending on market conditions. On the contrary, Eurobank already faces a capital shortfall and, subject to the outcome of Blackrock tests, has already announced a capital increase of circa 2 billion euros through a marketed equity offering with HFSF (controlling 95.2 percent) considering one or more anchor investors to acquire a significant stake in the bank. Apart from Q3 financial results and outlook, there are four pending issues due to be resolved in the near future. They are expected to have a material direct or indirect impact on Greek banks’ financial performance. They are: The outcome of Blackrock’s diagnostic and the identification of potential additional capital needs by the Bank of Greece (BoG), the lifting of a ban on foreclosures, a potential amendment of the warrants’ legal framework and the possible rollover of a bond issued by the Greek state in May 2014 in exchange for banks’ preference shares. With regards to preference shares, an issue that seems to be the least important of the four, banks regard them as a costly yet perpetual instrument and the bond rollover is seen as a technical issue not directly related with them. It is reminded that in the context of a state capital enhancement program in May 2009, the Greek state issued a 5-year bond of 5 billion euros in exchange for preference shares issued by banks and granted to the state. The preference shares entail the privilege of a 10 percent fixed coupon in the first five years with a 2 percent step-up after the 5-year period should preference shares have not been redeemed. It is of mutual interest for Greek banks and the state to rollover this bond, which is capital neutral for banks, with potential amendment of its terms, and at the same time eliminates the relevant funding gap. The recently rumoured warrant-linked issue arose from the upcoming capital increase of Eurobank with the Hellenic Financial Stability Fund (HFSF) examining several options to amend the existing recap framework. One of the options reportedly involves a voluntary tender offer for the repurchase of warrants in exchange for cash or shares at a discount to market prices. The ongoing debate stemmed from the fact that Eurobank current price (0.605 euros) is at a 61 percent discount to the issue price (1.54 euros) of the previous rights issue of 5.8 billion euros fully covered by HFSF last June. The other banks argue that an amendment to the law allowing a lower issue price in a new rights issue for Eurobank and the disposal of HFSF’s stake at consequently lower prices corresponds - in the context of “equal treatment” – to a lower exercise price for the big four banks’ existing warrants. Since the privatisation of Eurobank is due to be completed by the end of the first quarter of 2014, any amendment should be decided by the official sector soon. 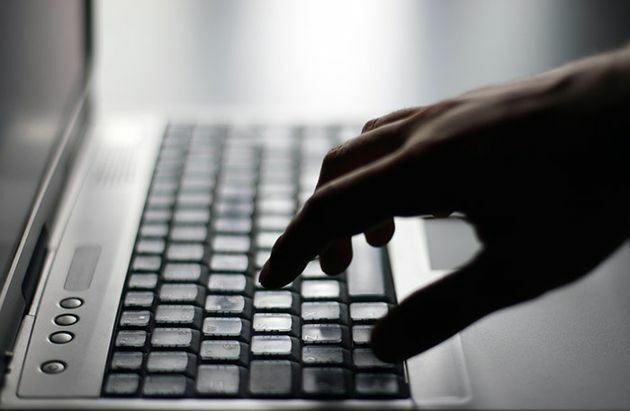 The outcome of the first warrant exercise, due on December 10 for Alpha, December 26 for National and January 2 for Piraeus, will also be also critical for upcoming decisions. Note that Alpha warrants are deeply in the money with the current price (0.66 euros) 47 percent above warrant exercise price (0.4488 euros), followed by National at 4.7 percent, while Piraeus warrants are currently out of the money (-6.6 percent). With HFSF holding an 84 percent stake in Alpha, it would be particularly interesting to see how many investors will decide to convert their in-the-money warrants to shares, increasing the current modest free float of 16 percent, and consequently send a positive signal regarding the bank’s reprivatisation. The next sensitive issue is that of foreclosures with the troika requesting a lifting of current ban for primary houses with a value up to 200,000 euros (expiring at the end of the year), while the government is aiming for a partial progressive relaxation protecting the socially weak citizens and those who “objectively” cannot repay their loans because of the crisis. As IMF mission head Poul Thomsen recently noted in an interview with Kathimerini, “from a political and social point of view, this is among the most tough challenges of current review”. The fourth and most important issue is that of the second Blackrock diagnostic, which includes a trouble assets review (assessment of NPL management, policies and procedures including policy and viability of restructured loans), an asset quality review (review and evaluation of lending policies and procedures) and a credit loss projection with an estimation of the expected loss over a five-year period and loan portfolios’ lifetime. The latter will be fed into BoG’s model to determine potential additional capital needs. Other elements to be taken into account are existing capital buffers and loan loss reserves as well as targeted capital actions (disposal of subsidiaries and/or non-core assets) and banks’ internal capital generation until 2017 based on a downward adjustment of pre-provision profitability (defined as income minus expenses) from bank’s 5-year business plans under a base and adverse scenario. The base scenario is dependant on the troika’s latest macro forecasts, while the adverse assumes a GDP contraction until 2015 and a moderate growth thereafter. The deviation of the two scenarios starts at 3.5 percentage points in 2014, falling to 1.3 in 2017. The Blackrock review was due to be submitted to BoG at the end of November. The central bank’s report is expected to be disclosed most likely within the first months of 2014. During Q3 conference calls, banks’ management refrained from speculating on the outcome of Blackrock exercise and giving details on individual business plans and capital actions. They expressed moderate optimism about the BoG outcome. The deputy CEO of National Bank, Petros Christodoulou stressed “we are confident it will not lead to additional capital needs.” Piraeus Bank’s managing director and co-CEO Anthimos Thomopoulos noted that “no major surprises are anticipated.” He added that a “milder impact” is expected compared to the first similar exercise 1.5 years ago, while the scenario of “capital raising is less likely”. A final, less important, issue is the review of banks’ restructuring plans by the European Commission’s Directorate-General for Competition. The Brussels officials are also examining Greek lenders’ presence outside Greece. According to comments from banks’ management, the review is at its final stage and a convergence on the few pending issues should be achieved by the end of the year. Greek banks are – and will remain – at the forefront of Greek economic, corporate and stock market developments. Although not out of the woods yet, they seem ready to tackle with upcoming challenges from a better capital position amid a more optimistic macro outlook. It is clear that any potential setbacks on the macro or political front, leading to a delay in the country’s path to recovery, will erode their financial performance. Could you provide the latest Price to Book (Tangible) for the 3 main greek banks. What % of assets of each bank is still invested in greek bonds or similar SOE bonds?